Chief Justice Luke Malaba yesterday set ground rules on how the Constitutional Court would deal with MDC Alliance leader Nelson Chamisa’s petition where he is seeking to overturn President-elect Emmerson Mnangagwa’s recent electoral victory. 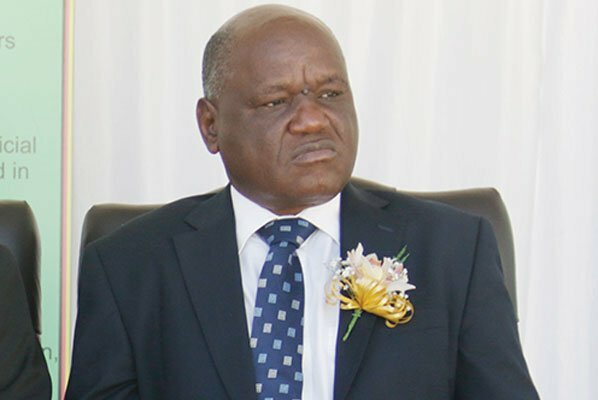 Justice Malaba, during a pre-trial conference with all parties to Chamisa’s court challenge in his chambers in Harare, reportedly ordered that losing candidates could only file their responses if they were opposed to Chamisa’s application. Malaba also set August 22 as the date for the hearing of the presidential challenge. Chamisa listed all the 23 applicants and the Zimbabwe Electoral Commission (Zec) as respondents in the matter in which he wants to overturn Mnangagwa’s narrow win in the July 30 watershed polls. “What the Chief Justice said is that you can only file if you are opposed to the application. If you are in support of the application, you had your own time to file,” MDC Alliance secretary-general, Douglas Mwonzora said. United Democratic Alliance (UDA) presidential candidate Daniel Shumba, who had filed in support of Chamisa’s challenge also confirmed the development, but said he was against the idea. “We can’t have anybody to say if you are supporting Chamisa we can’t hear you. We can only hear anyone supporting Mnangagwa,” Shumba said. According to Shumba, Justice Malaba accused the other candidates filing in support of Chamisa of trying to bring their arguments through the back door. The top judge argued if the other losing presidential candidates were against Mnangagwa’s victory, they should have filed their own petitions within the seven days prescribed by the law, not to hide behind the MDC Alliance leader’s court challenge. “It doesn’t matter whether I am a respondent or applicant. I have the right to be heard,” he said. Build Zimbabwe Alliance losing presidential candidate, Noah Manyika who filed his papers against Mnangagwa vowed to challenge the move.